Yes and no on the RDS. I have a Muller Quick Shot that I want to try. I have concerns that it will hold up although it is marketed to Turkey hunters. I would consider a Bushnell TRS-25. The more I’m beginning to understand the MI and RS platforms while considering a co-witness it seems like a direct mount vs picatinny is the better option. Thoughts? Seems that both the MI & RS are good quality while the MI is one piece with choice of mount. 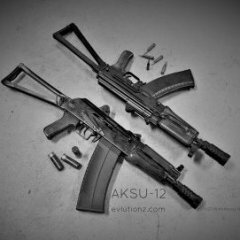 Note: my Tromix S17 is my only AK and I do not have any plans to purchase another AK. So moving it to another gun is not a part of this decision. Likewise if the RS is that much better for my application then the extra $50 doesn’t matter. I just want to get it right the first time. I have limited mechanical abilities unlike yourself and others on the forum. I would never drill out plugs, if required, but possibly shims. I really appreciate everyone’s help and patience. This is my only experience in the AK world. I’m wondering if the added benefit of the RS adjustability is really that significant? Wouldn’t zeroing the RDS make up any center of bore variable if using the MI? Likely may not or may be unlikely. Likely. Don't we enjoy the non precise meaning of the written version of American English? Duhh. More precisely, if you want the rail exactly aligned you will have to shim. The thing is how much and is it necessary? Mississippi Auto Arms has a nice UTG mount. About 48 bucks shipped. We use an earlier version. Apparently going by the picture provided on the website they removed a lot of unneeded material. Ours seen to hold zero very well in spite of the shims. And three short Allan screws. Blue Loctite. You might want to call Mississippi Auto Arms and ask if you can still remove the top cover and op spring without removing the rail. We had to buy and exchange stuff until we got the right height. Still a fun project. The shims were snipped from stainless steel cheapo automotive engine valve adjustment feeler gage material. The feeler gage was about 15 bucks. Captive circle shims with a hole in the center. The inside hex nuts were ground down a little and smoothed. Lots of clearance between the screws nuts and the guts of the Saiga. Hope this helps. I would love to shoot hogs with "Betty Bucker" the name of my Saiga 12. Would #4 buck shot work or would it just bounce off the hogs armor plate? Dangerous animals. Would a Trench 12 Arm Gun Work? HB: thank you but if I have to start that fun project I sticking with the irons. I’m ok if the zero to bore is not perfect as long as I can set zero with RDS adjustment. Update: my Mueller RDS is too long ( 2 5/16” ) for the short MI picatinny and I believe the same for the RS. Gee I thought this was a simple plug and play. RS update: Their AKR 1913 Picatinny Rail is only 4.9” so I think I found a happy medium that won’t appear too bulky for a RDS. I dont know of another side mount option that will get you lower or more centered than the RS Regulate. If you just want to stick a red dot on and adjust your shooting style to it, then any side mount will do. If you want the absolute lowest, most centered mount possible than RS surely has an option for you. Zeroing the rds will get you point of aim/point of impact but it will not necessarily be comfortable. For example you may end up with your chin to the stock rather than your cheek, to get a good sight picture. With a picatinny mount base rds your compounding the height of the side mount plus the height of the picatinny base of the rds, which can add up to a exagerated height over bore. Thx Veprz. I kinda need to lower my head to look thru the rear drum sight. I’m thinking the pic rail may add just enough for a comfortable cheek weld. I was considering waiting for a possible Fathers Day coupon but it is free shipping. Might pull the trigger tomorrow. If it ends up a total bust I’ll put them up for sale at a good discount. Update: Fortunately I called MI. Their AK mounts we’ve been discussing are not made for shot guns. They said I should to RS or another company. The UTG mount is kinda high. Has to be to let the top cover and op spring group out of the gun WITHOUT having to remove the optic and mount. This is important. A very low centered side raid optic mount MAY be too low. Everything time you want to clean your gun you would have to remove the mount AND scope. Over time a bummer. After you clean your gun you would have to re mount the scope with mount and re zero it. And to properly re zero it you would have to fire the gun. Then since you fired your gun you would have to clean it again. Over and Over. Not good. That is if you are serious about having an optic that works and is zeroed to point of aim. Thus the higher mounting. On and off. Off and on. A classic failure potential. Again HB you don't understand what you are saying. With a quality mount, not UTG garbage, it will return to zero after every removal and install. OP, it's literally a matter of swinging a lever to remove and install the MI and RS mounts. A real difficult task. I'm super curious as to why MI said their mount is not made for shotguns? I wouldn't hesitate to put one on my S12. It's the cheap optics I'd be worried about. BTW, when you say the side rail "likely may" need shimmed, you are implying that of the thousands of Saigas that have been imported, the majority of them need their side rails adjusted. That just isn't the case. I also question MI’s refusal to support the S12 platform when I can take multiple side mounts and interchange them between saiga shotguns and multiple caliber rifles. Maybe they are not too confident in a 12 guage’s recoil with their product or they have someone not experienced with their product on multiple formats/options? With that said, I do take issue with your blanket statement of “UTG Garbage”. The UTG Pro side AK mounts are very solid, even for magnified optics. They return to zero and are a great value for the price point. Perhaps you are basing your opinion on the old first generation mounts? I have two of these new mounts and they are solid. One I have even cut down to do exactly what the OP wants to do with a RDS. To HB’s point, they sit higher than a RS Mount which I also own, but they allow field stripping the rifle with the mount and the optic still attached. It is all about preference. The UTG Pro is a great value. Are there better mounts out there? Yes. The RS Mounts IMHO are the best side mount options for an AK out there. Are they the best out there on a budget? Not necessarily. RDS afford quick target acquisition but are not precision sights, especially on a shotgun where range is cut down considerably. There are many mount options that will be more than adequate, without tearing down other members of a forum that share your love of firearms. Just putting things into perspective for someone who’s opinion I respect and often agree with. I ordered the RS 303M base + 1913 AKR Picatinny Rail which is longer. It is what RS recommends for the pic rail. Next week I will report back. Once again many thanks! You schooled this boy. With that said, I do take issue with your blanket statement of “UTG Garbage”. The UTG Pro side AK mounts are very solid. Do they cost $48 as suggested by HB, above? You get what you pay for. Perhaps the garbage mounts are why HB "had to" fix his side rails? The UTD works for me. The mount is high enough that the mount and optic do not need removing to clean the shotgun. The top cover and op spring have enough clearance to come off/on the shotgun. The OEM side receiver scope mount riveted to the receiver did require shimming. I have explained how. Fun and easy. Having a slightly higher mount works for me. I don't know how it would work for you. There will always be detractors. You know who you are. It is just as easy to share actual personal experiences without resorting to attacks. Not good for the forum. I am just helping out here. I think youll be fine. Im not doubting that it could possibly be out of alignment but it would be the exception not the rule. Id say the chances of having to shim the mount are extremely slim. "I am just helping out here." So am I. There wasn't a single attack by anyone in this thread. I countered what you said with fact. Fact, Cheap AK optic mounts have proven to be failure prone and cause wandering zeros. Fact, the overwhelming majority of Saigas DO NOT need their side rails adjusted. Fact, i can remove the dust covers on my Saigas and Bulgarian Arsenals, while the RS 301/30mm optic mounts and Aimpoint PRO's are still installed, it's tight but doable. Fact, they also hold zero when i remove and reinstall them. MM, I do not disagree with you, except that the UTG Pro’s will uninstall and will return to zero. But that is not really the issue here is it? Come on guys (HB included). We all have different experiences and different opinions. Not everybody can afford to spend $250 on a side mount. For that matter not everyone can afford to spend $250 on optics period minus the mount. My experience with the MI rail was that I could not get multiple rings to tighten down. MI customer service blew me off like I was an idiot. I won’t buy their crap anymore, but I know I got the one off, where most get a quality rail. I did not disparage it because I know what I experienced was not the norm. We are all trying to help here. That’s what this forum should be about isn’t it? Point being is that we get pissed and wonder why we are getting our tails kicked by those who want to take our firearms away, yet we fight with, degredate, and run down those we disagree with on this forum, yet they are our brothers and sisters to a common goal and passion. It shouldn’t be this way. Op I am glad you found a solution to your question. I think you will be happy with the RS Mount. I refuse to spend that much on a mounting system for a non-precision rig. Is it probably great? It looks like a well thought out design and I can't see why it wouldn't be. However, can I personally experience that much of a difference while using it? That is the question I ask. If it is a superior product, will I ever even notice while using it for my intended use? I am far beyond caring about what others think of my gear. If it works, I will run it. If it is cheap and it works, I am over the moon. We are way hard on one another. I have been guilty of it in the past and I have worked hard to try and change it. When someone cut me, I slashed deeper. For what? To prove to everyone I can be vicious when I want to be? It makes no sense to put forth so much effort to create more enemies. It is an unprofitable action. That's how I see it. My personal experience has confirmed I get what I pay for it in terms of quality and function but not always. A recent example of paying little and getting more than I expected was my recent purchase of High Point’s new 10mm Carbine. Only $332 delivered! Admittedly I’m drawn to quality products thus the RS line got my attention. Of course I could have spent less. I don’t even know how often I will take the S17 hog hunting and I’m not convinced that my Mueller Quick Shot RD will hold up to the recoil. Why do I like two of the reticle choices do much? As to the cost of the RS package I did not plan or want to spend so much ($194 delivered). I thought I was all in @$121 until MM was kind enough to point out that base mount was not a Picatinny Rail. I happened to have a $50 VISA gift card which made the purchase easier. In the end I’ll be happy if it fits without shims. If the RD holds zero even happier. If I never take her out walking & stalking hogs I will at least have a quality set up on a Tromix S17. I could not have made this purchase without everyone’s input. You have stated that I do not know what I am talking about. A personal attack. What you did not state is that your mount works for you and why and you do not know if my mount would work for you. See the difference? Personal attack upon the person instead of just sharing what you have found through actual use using other side receiver mounts. You need to consider what you have done sir. Fortunately or unfortunately the stuff I share on this excellent Forum is the truth. Nothing embellished or falsely made up. I had to shim both side receive factory mounts. The UTG does not hold zero. If the UTG mount and optic were removed from a Saiga, I have found the mount does not return to zero when re mounted. Close but off. The factory side rail which was shimmed remains tight. The cause as I understood it them, (about 8 years ago) was that the UTG mount was not quite locking up exactly the same each time it was removed to clean the guns. I had to go to a taller version. The slightly taller medium height UTG mount allowed the mount and optic, (Leopold and Red Dot) to remain on the gun. Problem solved. Also I also like a slightly taller mounting. Just me. Would number four buckshot work on hogs? Or would such buckshot just bounce off? A default load would be a max solid slug? Actually I said, I don't think you understand what you are saying, when you state that the side rail likely may need fixed. Which you obviously didn't or don't, because the majority of Saigas do not need them fixed and that a quality side rail will return to zero. You don't have any experience with one that does, so why say all side rails will not return to zero? People looking to mount an optic on their Saigas side rail, will potentially read this thread and see that you said their gun will likely need fixed. And in order to do so will entail a fair amount of work to get it done correctly. Guess what, now alot of people will potentially give up because of that false statement. I'm well within my bounds to state correct information in rebuttal to that. Edit: You had the OP worried that he was gonna have to fix his, before he even had an optic mount to try out. When you are able to stretch the S12's legs out to 100yds with slugs (like i often do), a quality mount comes in very handy. Shifts in zero with the recoil of a 12ga and a 1oz slug can be huge at 100yds. Especially when the group is already going to be a 5" or so spread. I really think you guys are reading way too much into this. Fake news is Fake news. Dismounting, shimming to need and remounted the Saiga factory side receiver mount is a fun and easy project. Nothing really to worry about. This topic is good because I may have to put such a side mount on my new Trench 12. Not to mount an optic but to mount a bright flashlight and a bright laser. I am still trying to find out what exact accessories will fit my Trench 12. Ideally the laser and light would be mounted under the fore end. Also a fore end pistol grip would be nice. The Trench 12 fore end must come off some how. Also access to the 4 position gas plug would be nice. Eventually I will figure things out. Also considering a SBS tax stamp so I can put on a nice folder. The first fix is the aforementioned Saiga side receiver scope mount. If I can find one it would be easy to mount. HB of CJ, this be a good option for you. "This is a side rail that is easily retrofitted to most milled or stamped AK styled receivers without the need to drill and rivet, or utilize a gunsmith. It attaches to the existing hammer and trigger holes by using the proprietary mounting pins. This is a low profile, reversible modification that allows the use of the many commercially available side rail optic mounts." Fits "all milled and stamped AKs that utilize standard hammer and trigger axis pins." MM: I’m hoping my 8” barrel will group well @50 yds. I have the irons zeroed @25. Next test will be @50. Post up the results. What is your lead of choice? Since we can't own SBS' where i live, i still rock the OE length 19" barrel. It does surprisingly well at 100yds. 25yds and irons? Mine really likes Sluggers too. Out of the 4-5 different brands I've tried it liked Sluggers and Winchester Super X the best. Yes. My indoor range is 25 yards. The first target was the 2 on the right @ 10 yards. Then #1 was @ 25 yds. Looks like I need to adjust the irons to the left. I don’t have your 75 yd option with the SBS.